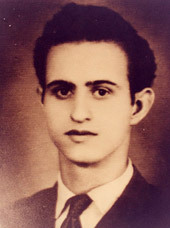 On this date in 1956 or very shortly thereafter, Jesus Maria de Galindez was probably executed in the Dominican Republic. The previous day, he had vanished without a trace from New York City. According to unconfirmed but highly credible accounts, he was killed on orders from — and in the presence of — Dominican dictator Rafael Leonidas Trujillo. Galindez’s disappearance caused an international incident. It was covered in numerous newspapers and periodicals, including Time and Life, and was the subject of much speculation and many conspiracy theories. In spite of an extensive search, his body has never been found. The case has remained in memory into the 21st century, however, as this 2001 New York Press article demonstrates. Born in Spain in 1915, he was a political activist, a committed anti-fascist and Basque nationalist. As a result, he ran into trouble with Spain’s dictator, Francisco Franco, and had to run for his life. In 1939, Galindez set up shop in the Dominican Republic, only to find fascism polluting this country as well. He had to run again in 1946, this time to New York City. While working on his Ph.D in political science from Columbia University, Galindez found the time to teach college classes, write a newspaper column which was syndicated throughout Latin America, and represent the Basque government-in-exile. He was a busy man. He was also very afraid, and with good reason. Like most despots, Rafael Trujillo held grudges for a long, long time, and his henchmen kidnapped and/or killed many of his enemies, even those outside the country. One of Galindez’s friends was killed by Trujillo’s agents in Manhattan in 1952. 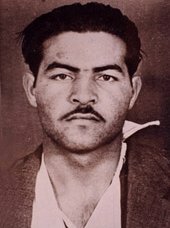 Galindez then wrote a letter to be opened in the event of his death or disappearance, stating that if he should come to harm, Trujillo was surely behind it. On March 12, 1956, Galindez taught a class at Columbia and a student gave him a lift to the subway. This was the last time he was seen alive. When he was reported missing five days later, all his belongings were found undisturbed in his apartment. The FBI and the New York Police Department searched for him without result. 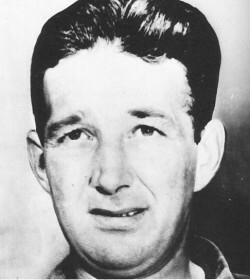 According to an investigation by Life magazine, which published its conclusions in 1957, Trujillo’s agents forcibly abducted Galindez on March 12, drugged him and bundled him aboard a small private plane piloted by an American, Gerald Murphy. Early in the morning on March 13, Murphy stopped in Miami for fuel, then continued southward, stopping at Monte Cristi in the Dominican Republic. From there another pilot, Octavio de la Maza, took over. De la Maza was a tough character who had already committed one murder, in England. He flew Galindez to Ciudad Trujillo. Galindez was then shot to death in Rafael Trujillo’s presence and buried. The Dominican government tried to buy off Murphy with a plum job as a flight captain, but pretty soon he started blabbing about his mysterious plane trip and its passenger, whom he’d at first thought was a wealthy invalid. Pilot Octavio de la Maza: mopped up. Thus was a second assassination necessary to cover the first: in December 1956, Murphy vanished without a trace in the Dominican Republic, only days before he was due to fly home to America. His body was never found. Now, his co-pilot had to be silenced, and a very neat job it was too: Octavio de la Maza was arrested and charged with Murphy’s murder. He had just enough time to get his parents out of the country before the ax fell, but never came to trial because he was found hanged in his cell in January … conveniently leaving a full confession in writing: Murphy had hit on him, and De la Maza lost his temper and pushed him off a cliff. The world smelled a rat. 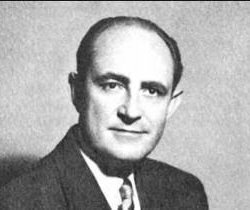 Trujillo, of course, denied everything and went so far as to hire an American lawyer, Morris Ernst, to conduct his own investigation into Galindez’s disappearance. After ten months, Ernst issued a report predictably exonerating his employer. He claimed Galindez had stolen money earmarked for the cause of Basque Nationalism and simply walked out of his life. No charges were brought against anyone in Galindez’s disappearance. Columbia awarded him his Ph.D in absentia and his thesis, published as The Era of Trujillo, became a bestseller throughout Latin America. What goes around comes around: Trujillo was himself assassinated in 1961. One of the men who plotted his murder was Antonio de la Maza, Octavio’s brother. 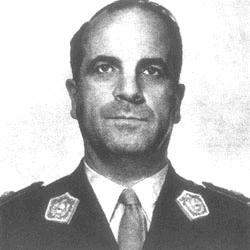 On this date in 1956, the Argentine military junta crushed a Peronist revolt with the summary execution of its leader, Juan Jose Valle. Gen. Pedro Eugenio Aramburu had overthrown the populist Juan Peron government in 1955, and now ruled Argentina as President. General Valle was shouldered out for his affiliations with the former regime: throughout the months following the coup, the Peron party was systematically proscribed and its leaders barred from politics. Valle avoided the initial slaughter, but he was captured in an apartment in Buenos Aires on this date and shot at the city’s National Penitentiary in the evening. “Shot for trying to overthrow the government” doesn’t quite sound off the scale of typical coup outcomes, but in Buenos Aires in 1956, these executions were shockingly disproportionate relative to the handling of many recent unsuccessful coups. Actually, the Aramburu government had just that February repealed the death penalty as a statutory option for plotting a coup. The authorities’ brutal response was something of a turning point in Argentine political relations and culture. Throughout the Peronist decade even the harshest critics of the regime could not accuse it of executions of this sort, even though coups had been attempted against it. Bloodshed on this scale for political reasons was unprecedented in the political and military history of Argentina. Aramburu himself would catch a bit of the blowback for authoring this “turning point”: in 1970, the former president was kidnapped (Spanish-language site) by the pro-Peron Montoneros guerrillas and himself summarily executed shortly thereafter — allegedly in specific retaliation for having shot Gen. Juan Jose Valle. And the literary fallout was hardly more complimentary. Argentine writer Felix Luna penned La Fusilacion (The Firing Squad) the next year;** set during Argentina’s 19th century civil wars, it’s plainly informed by that country’s more contemporaneous problems. 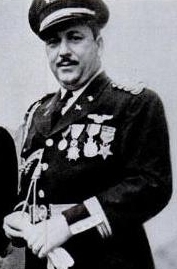 * Valle’s top co-conspirator was another general, Raul Tanco. In a strange coda, Tanco managed to escape execution by claiming asylum in the Haitian embassy. Pro-government gunmen kidnapped him from that refuge and turned him over to the army, but in a gesture of diplomatic courtesy, Aramburu returned Tanco to the embassy unharmed, with apologies to the Haitians for the breach of decorum. ** It’s also a 1962 movie. Just after midnight this day in 1956, Wilbert Coffin hanged for murdering three American tourists — a case that has since entered Canadian annals as a paradigmatic wrongful execution. The aptly-named Coffin affair saw the prospector sent up on an entirely circumstantial case. Under the pressure of losing tourist dollars to breathless coverage in the U.S., and with the aid of a desultory defense attorney, the Coffin case was rushed along to completion. Though sympathy in Gaspe seems to have been considerable, its elevation to cause celebre was likewise bound up in Quebec politics, pushed by foes of powerful, unscrupulous premier Maurice Duplessis. While the death penalty vanished from Canada, the Coffin case has never fully faded as a public controversy. And it’s had something of a revival around the hanging’s recent 50th anniversary, with the government flirting with a posthumous pardon. There’s even a prime alternate suspect, now dead, whose family has allegedly implicated him. The Gaspe guitarist who appears in the above piece, Dale Boyle, makes his Wilbert Coffin song (and details about the case) available on his web site. 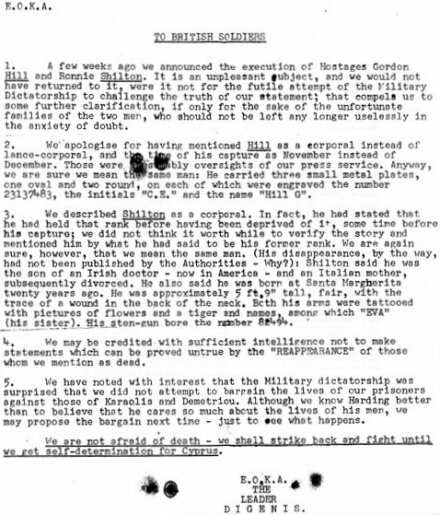 Lew Stoddard’s blog covers the Coffin case in exacting detail from the standpoint of a strong advocate of the hanged man’s innocence. 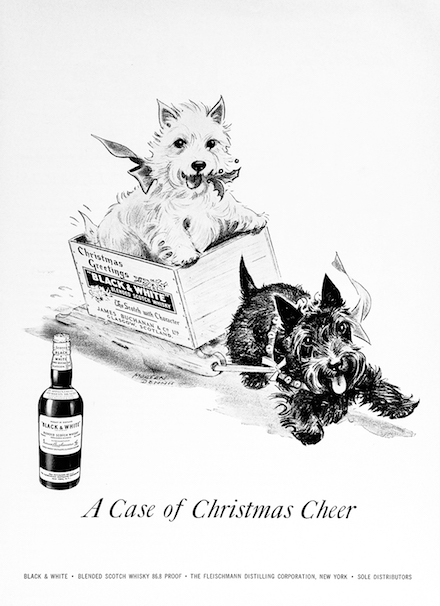 The Coffin family itself also maintains wilbertcoffin.com, naturally dedicated to clearing Wilbert’s name. Still, even should officialdom ultimately side with the apparent judgment in the court of public opinion, a wrongful execution is a wound that can never be salved. I’ve often wondered what went through my brother’s mind when they came and took him out of his cell to take that last walk to be hanged. You can’t imagine what it’s been like to live with this all these years. It’s like a black, black hole that never ends.